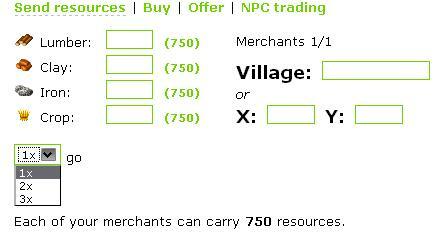 If you are member of the gold club you can let merchants walk the same thing trice. As you see, that is done by a drop-down menu now. © 2009-2019 ! !Travian Games GmbH!! | ! !CustomerSelfService v4.6!! | ! !Given answers: 367507!! | ! !Available answers: 237! !